APT partners with AmaWaterways, which operates seven luxury river cruisers in Europe. Together, APT and AmaWaterways offer numerous innovative itineraries that allow travelers to embrace and enjoy the places they are visiting along the winding waterways. 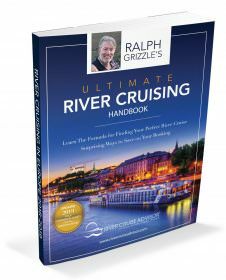 A pioneer in water-borne travel through the central Continent since 1994, AmaWaterways founder Rudi Schreiner has played a key role in developing the concept now known as European river cruising. And that concept is one that stresses comfort and access. The AmaWaterways fleet is entirely new or newly remodeled; each ship is nearly identical and specifically designed for river cruising, catering primarily to English speakers. During the cruise, the focus is on culture, with creative shore activities scheduled for every port call, although some guests do enjoy puttering about on their own. Each ship has two lounges in the upper deck providing panoramic views of the cities and the countryside. Public areas deliver free Wi-Fi, and all cabins have flat-screen TV’s and Internet access. Bottled water is complimentary in each stateroom, as well as a selection of specialty coffees. Guest rooms include 71 staterooms, most of which boast balconies, and four suites. All staterooms are furnished with a queen bed, full en-suite bathroom, sitting area, safe, modern “infotainment” system, a spacious cupboard and personally-controlled air-conditioning. All ships cruise with a couple of dozen bicycles that passengers can use for exploring when the ship docks. 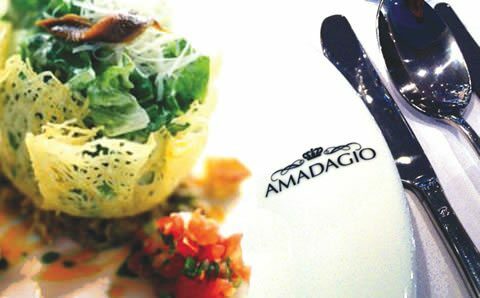 The ships provide upscale cuisine, enriching port stops and an international feel. 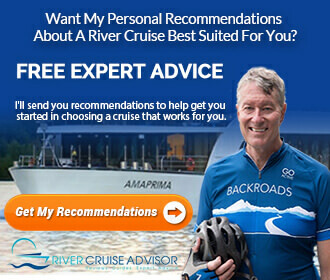 In many ways, these river cruises are immersion programs, providing guests with entertaining and enriching experiences that might involve meeting locals, such as the mayor in a small city, learning from knowledgeable local tour guides, and taking part in regional traditions and local wine samplings. A non-smoking policy governs all ships, and each is equipped with a fitness center, beauty salon and a massage therapist. Local wines, with unlimited pours, are included with each dinner, which consists of gourmet cuisine with themes drawn from the surrounding region’s culinary traditions. Entertainment is also focused on local customs and culture, with folklore performances or an evening orchestral performance.The ships are staffed with an international crew, mostly Hungarian and Slovakian, but all staff members speak English. Daily, guided sightseeing activities are included with each cruise, and audio devices are included with each tour so travelers don’t have to strain to hear the guide. ATP’s river-cruise itineraries run from nine to 23 nights, and many itineraries include a few nights’ hotel stay in Europe before the cruise embarks. For instance, the Portugal/Spain itinerary starts with three nights in a luxurious Lisbon hotel, with trips to surrounding cities or the countryside planned for each day. On the fourth day, guests board the ship in Porto, and the cruise starts its journey through the magnificent Douro River Valley. 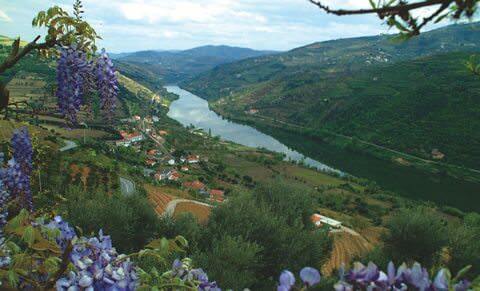 One of Europe’s most pure and unspoiled rivers, the Douro is framed by deep gorges, lush vineyards, and sleepy fishing villages. These river cruises can provide magical experiences, shared by companions and the new friends made among the experienced travelers on the ship. And the options to customize your trip, blending just the right cruise with a land tour to the destinations that have been tickling your interest for years, are nearly limitless. The popular Magnificent Europe cruise is a 15-day trip connecting Amsterdam and Budapest via the Rhine, the Main and the Danube rivers, as well as the Main-Danube Canal. The cruise ship will carry you through the picturesque Rhine Gorge and past lush fields, looming mountains and medieval castles and forts of staggering beauty. One of the most popular river cruising itineraries because it carries passengers through the Continent’s heartland, Magnificent Europe can also be matched with any of APT’s tours to create the perfect European holiday. Some of the choices that can be scheduled before or after the cruise portion include Paris and Bruges, Slovenia, Prague and a Mozart series that explores the composer’s Austrian roots. Combined, the tour and the cruise create a comprehensive experience that will contribute to a whole new chapter of memories for any traveler. APT offers a whole host of river-cruise itineraries. In central Europe, the 10-day Christmas Time Cruise, to name one of several attractive itineraries, starts in the beautiful old city of Prague. This trip and gives guests a look at the renowned Christmas markets of Nuremburg, where more than 100 red-and-white canvas-topped booths offer an assortment of unique toys, tinsel angels, dolls, dollhouses, gingerbread and everything else imaginable for a traditional Christmas. And in following days, as the ship stops at eight cities, towns and villages, travelers are exposed to magical sights and historic places, such as Roman forts, medieval castles and villages, monasteries and more. The cruise culminates with a daylong visit to Budapest, where you can visit Buda Castle and look down on the river and the twin cities of Buda and Pest on either side of the Danube. Thank you for helping out, excellent information. “Whoever obeys the gods, to him they particularly listen.” by Homer.